There’s no question about it, birthdays are always a reason to celebrate. And so is the Aflac Birthday Duck. 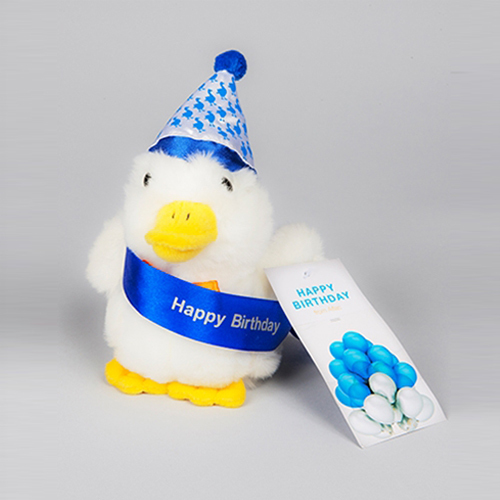 Featuring a party hat, sash and birthday tag, the six-inch duck makes a great birthday surprise and addition to any plush collection. This little duck is perfect for snuggling, and loves to be hugged and quacks “Aflac” when squeezed. Constructed of top-quality plush materials for durability and softness. For children ages 3+. Microwave and dishwasher safe. Made in USA.